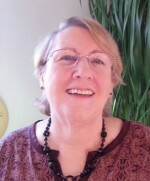 Paula is trained in Reiki I and II, Reconnection I, II and III, SRT, and Hypnosis. She believes that when we come into our current lifetime that we bring in with us baggage, attachments and Karma from other lifetimes. She sees this like the chains and money boxes attached to Marley in “A Christmas Carol”. She believes that repetitive patterns in ones jobs, relationships and family are linked to these chains that bind. These past life issues may also affect your health and well being. By working with TEC (Total Energetic Clearing) and accessing the Akashic Records she can help clear out the baggage that prevents us from achieving our true potential, and allow you and your path to be clearer and more complete.